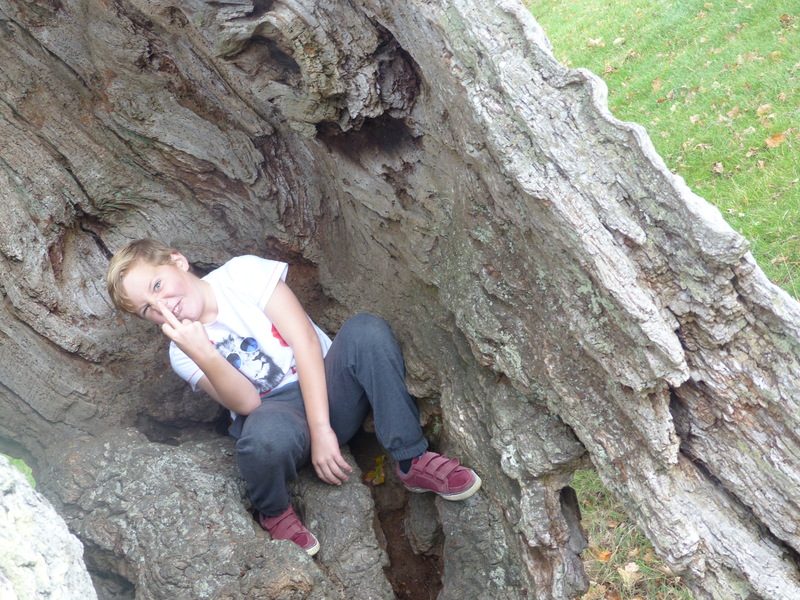 This is what happens when you try to take a photo of the 9 year old when he’s got his foot stuck in a tree – and he doesn’t appreciate the photo being taken prior to any assistance!! The joy of being the child of a blogger………..
You can see better photos of our day trip to Blenheim Palace here!!! Do pop across and see other people’s Wicked Wednesday photos – probably without sweary children………………..
← Not sponsored by John Lewis! I blame his father’s genes!! Thankfully there wasn’t a serious injury!! Yep – and it’s been explained he can’t use the same hand gesture when not impressed at school!! Not exactly subtle is he!! !